The Georgia Academy for the Blind provides quality education services to Georgia’s students with visual impairments and/or visual impairments in conjunction with other disabilities to prepare them to achieve their highest level of independence in transition to college and career readiness. 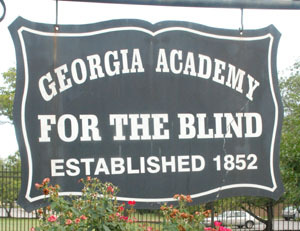 The Georgia Academy for the Blind was founded in 1852 to serve the needs of Georgia's students with visual impairments, including those with additional disabilities. Accredited by the Southern Association of Colleges and Schools (SACS), we are committed to providing the highest quality educational services to our students and families across the state. We offer day and residential programs on our campus, as well as outreach services and professional learning opportunities. This week, our contractors installed a door bell/video monitor at the Hendricks Building door under the covered walkway. Simply press the button, as shown here, to recieve entry. As a result of seeking to be as secure as possible, effectively immediately, the access gates will remain locked throughout the day. Gates 2, 3, and 5 will be opened from 7 am to 8:30 in the mornings and opened again from 2:30 to 3:30 in the afternoons. Also, we have a few gate operators assigned to remotely open the gates. 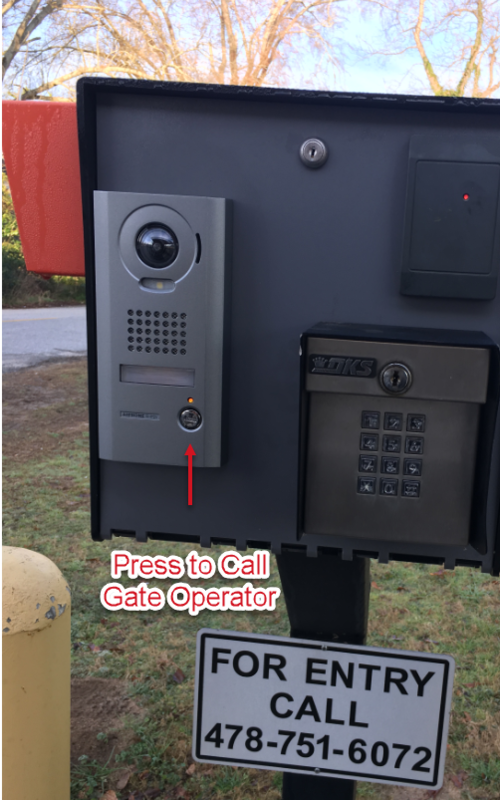 You simply call them by pressing the Gate operator button shown in the picture. Once you are parked, remember to bring your license in order to receive a visitor’s badge. To enter the Hendricks school building, you will ring the doorbell which is located on the right and left access door to the building. You press that button and you will gain access to this building where you will sign in and receive a visitor’s badge. We appreciate your help and patience in this matter.